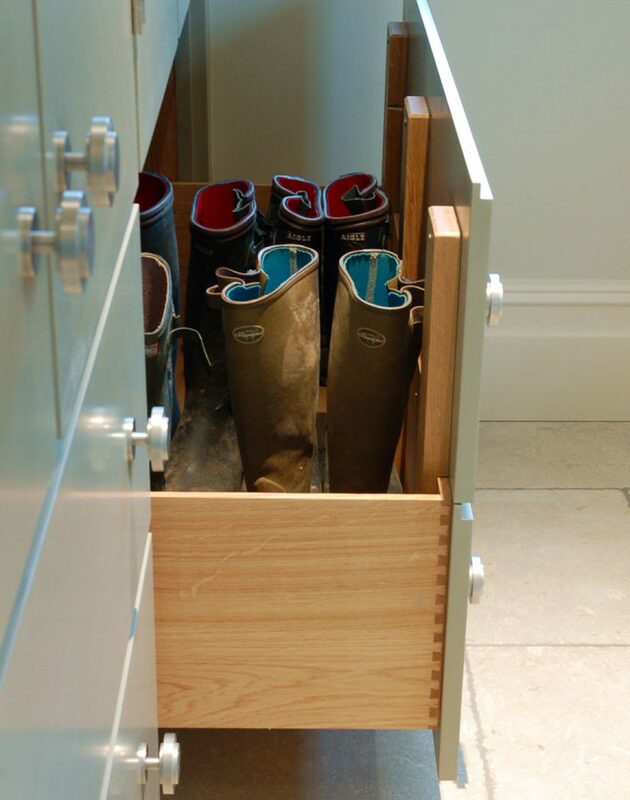 This room is part bootroom and part utility. 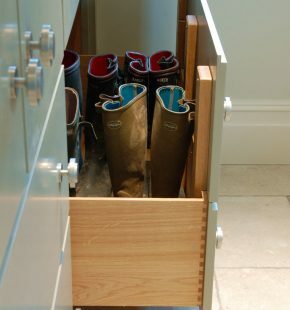 It is a hugely practical room with acres of storage space for coats, wellies, dog leads and dog food. 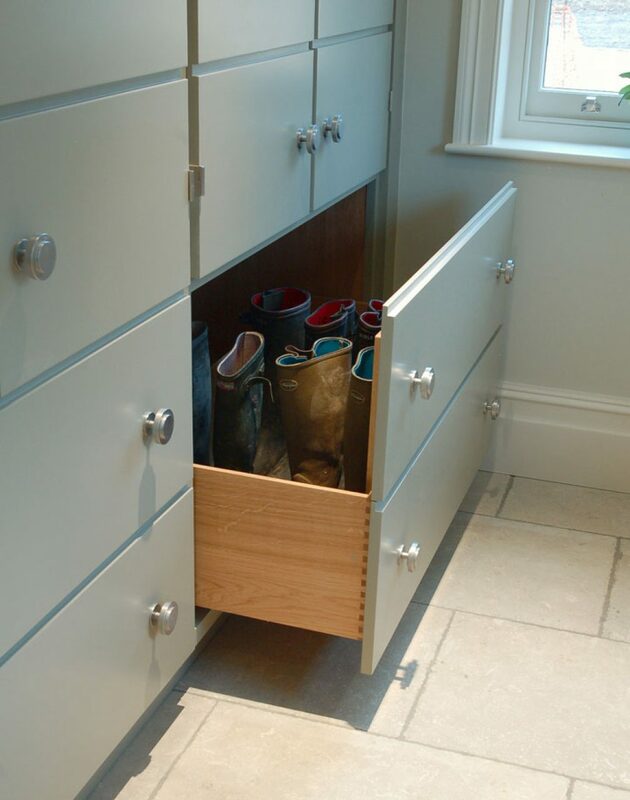 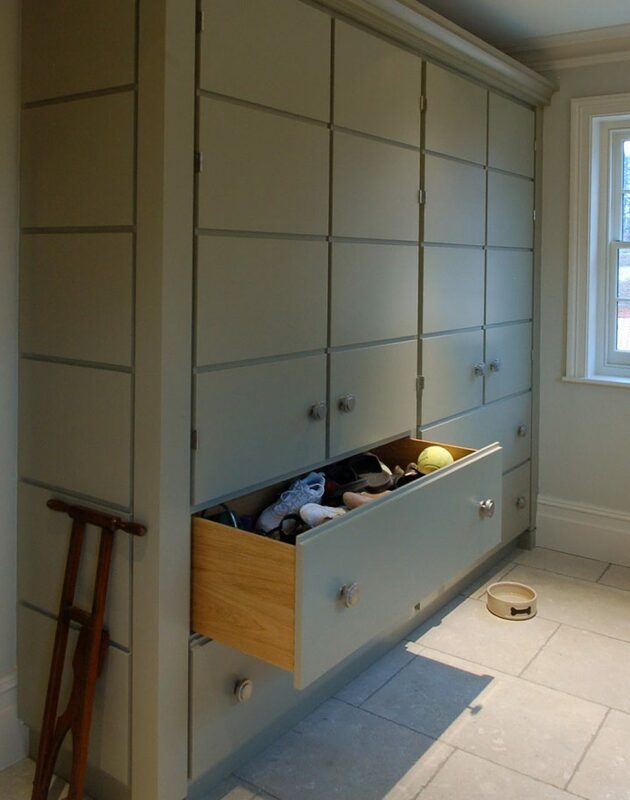 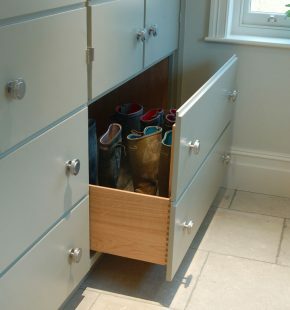 Large cupboards are essential in a room such as this, as there are so many objects that are essential to our lives that while quite bulky don’t need to live ‘in the house’. 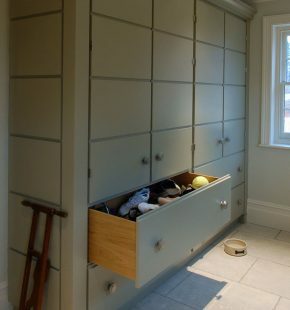 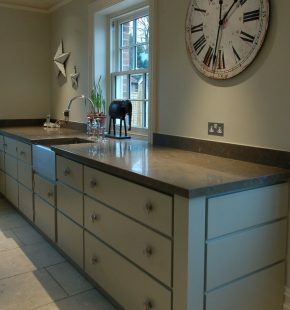 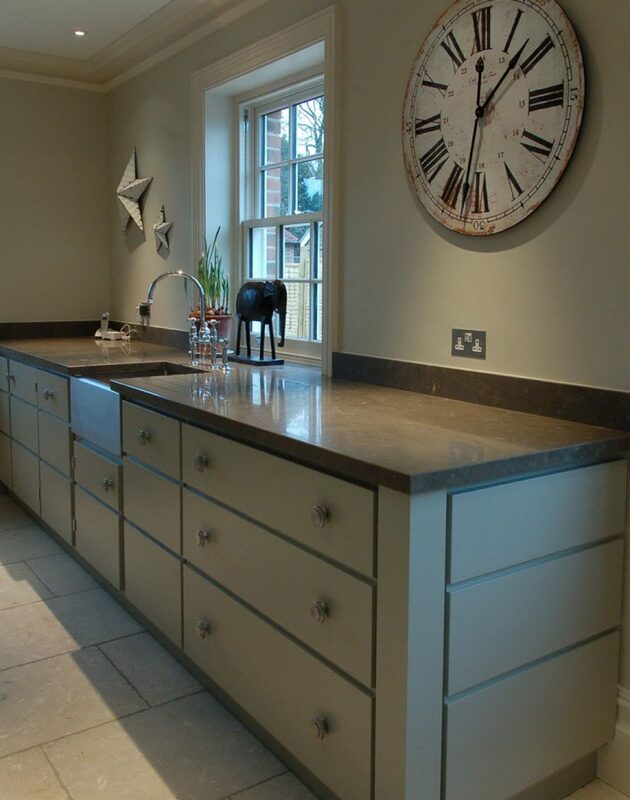 The style of the room is mirrored from the design in the kitchen with big slab drawers and bespoke designed handles, using the F&B paint colour pigeon is extremely practical when it comes to wet dogs too.